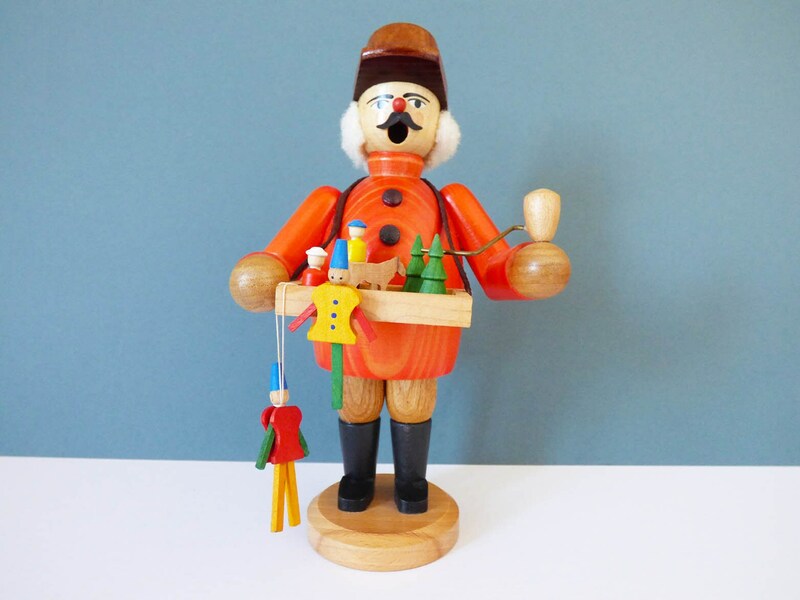 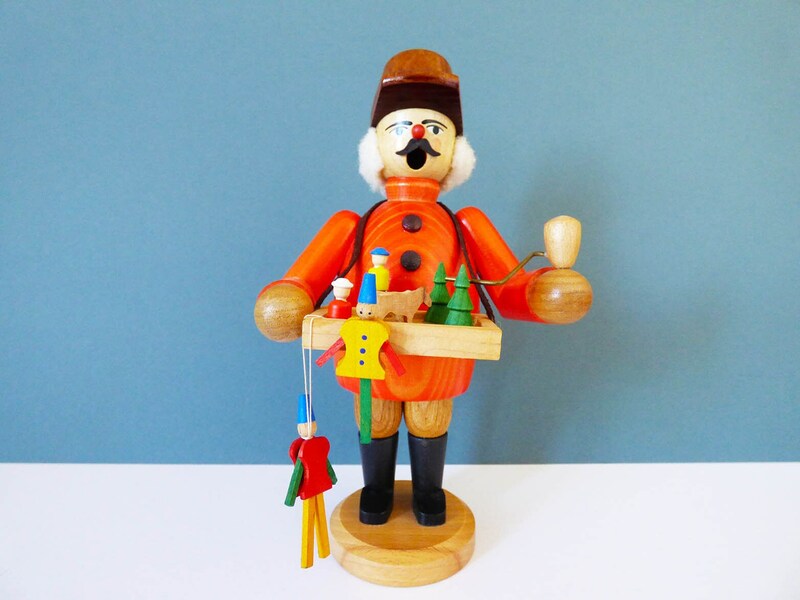 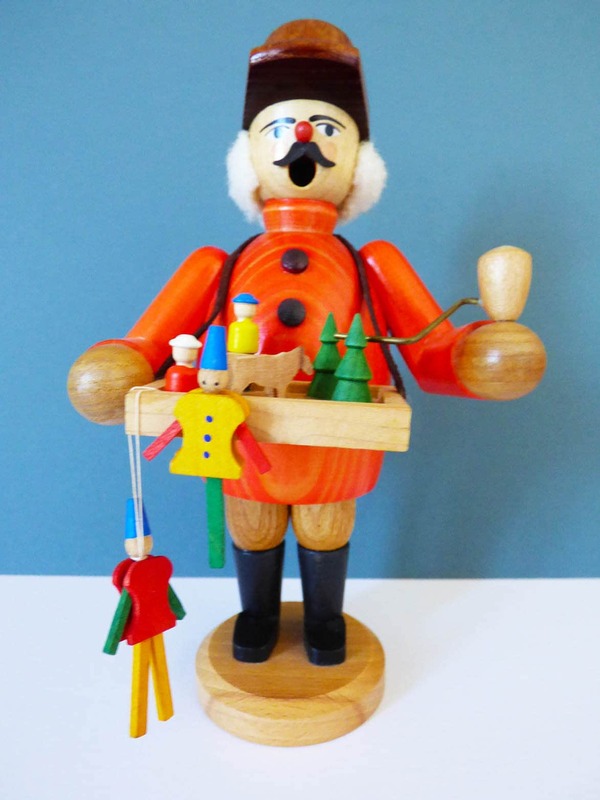 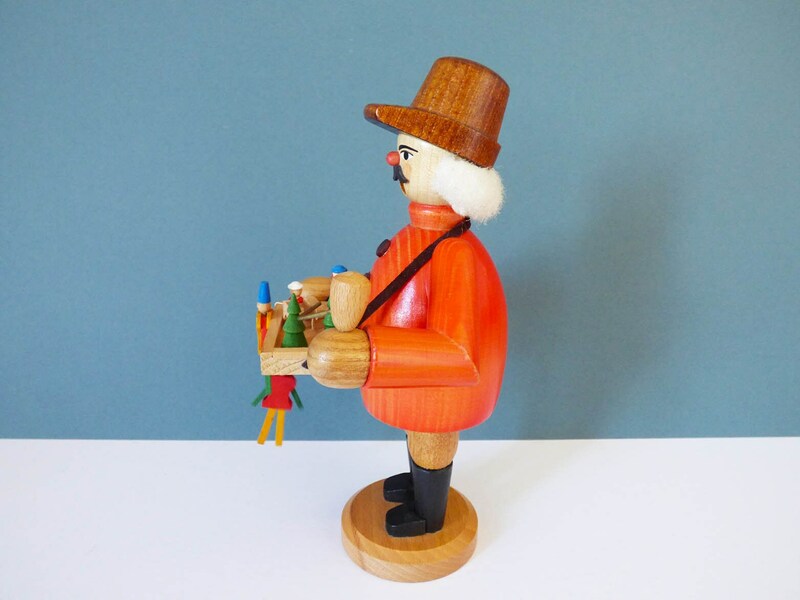 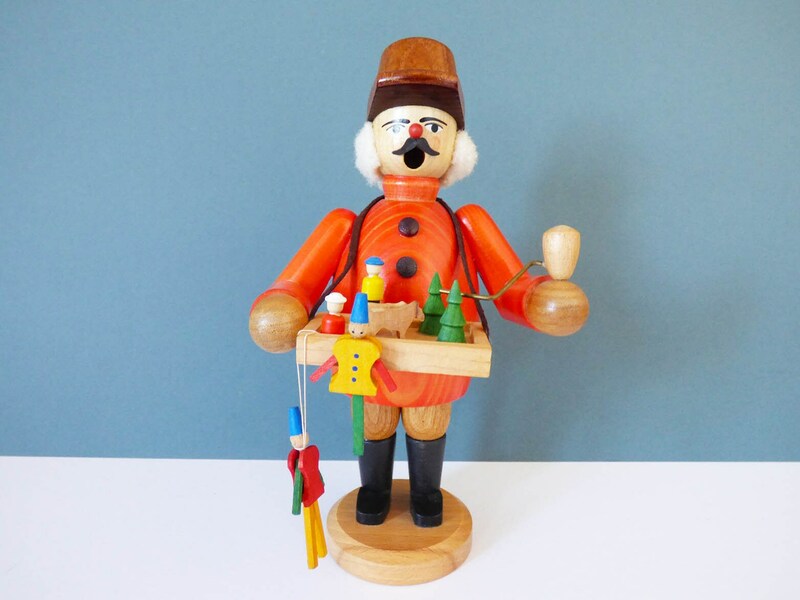 This little figure was created in Germany by Erzgebirge. 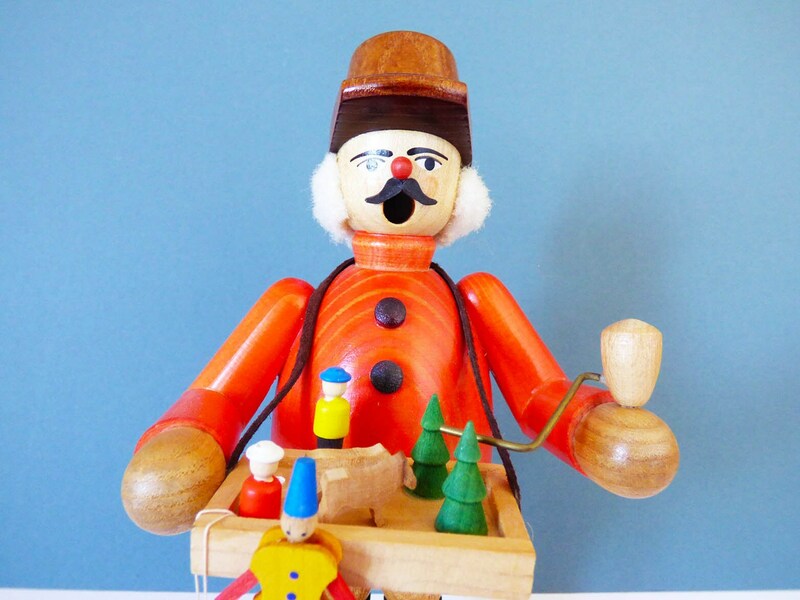 The wonderful wooden man is, in fact, an incense burner, you will need incense cones to see him smoke. 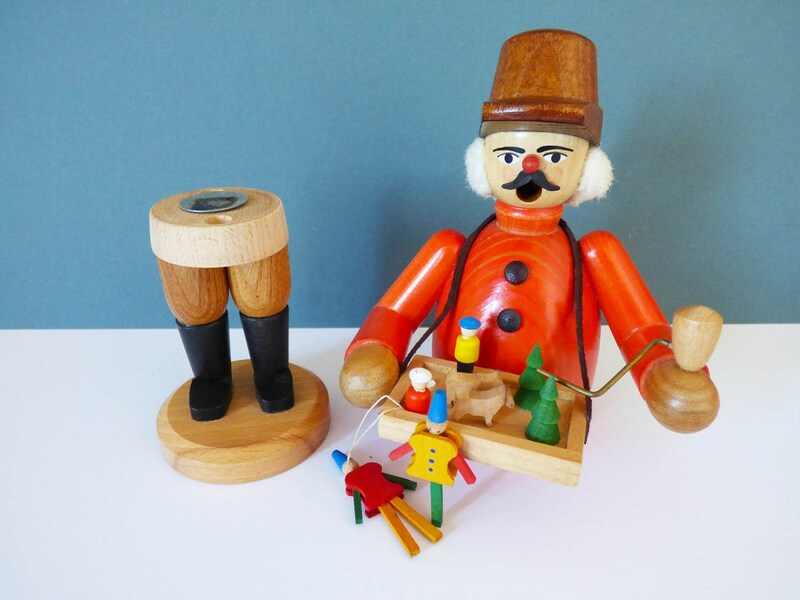 Once lit, the smoke comes out of his mouth, in this case, the man is a toy seller, so perhaps the smoke is representing the man's breath on a cold day, there may be a couple of pieces missing from the tray and the toys that hang from the tray. 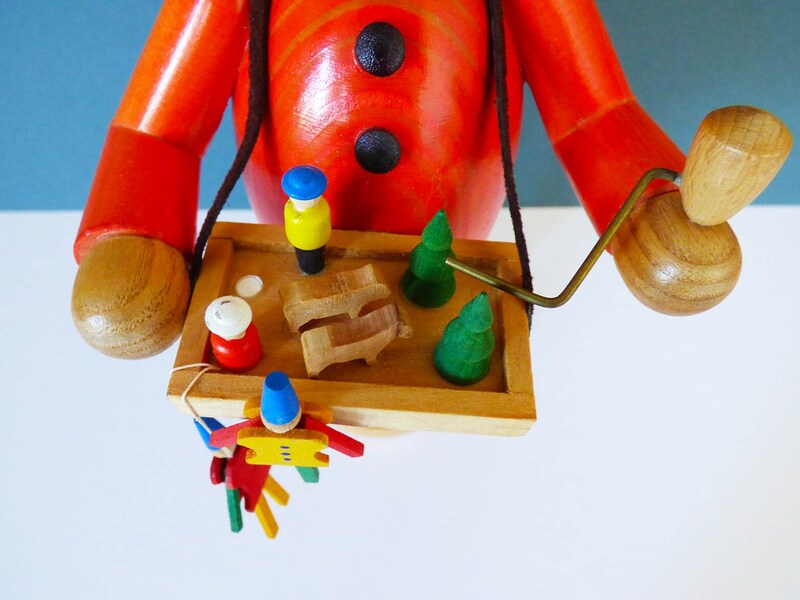 With these little imperfections mentioned, I'm pleased to offer him for sale for a little less. 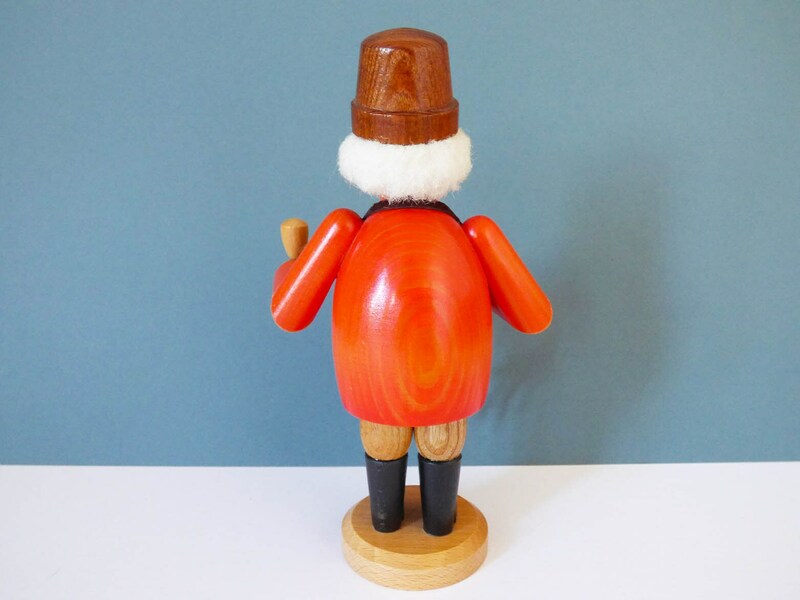 He stands 19 cm tall with a diameter of 5cm diameter at the base, a truly unique item. 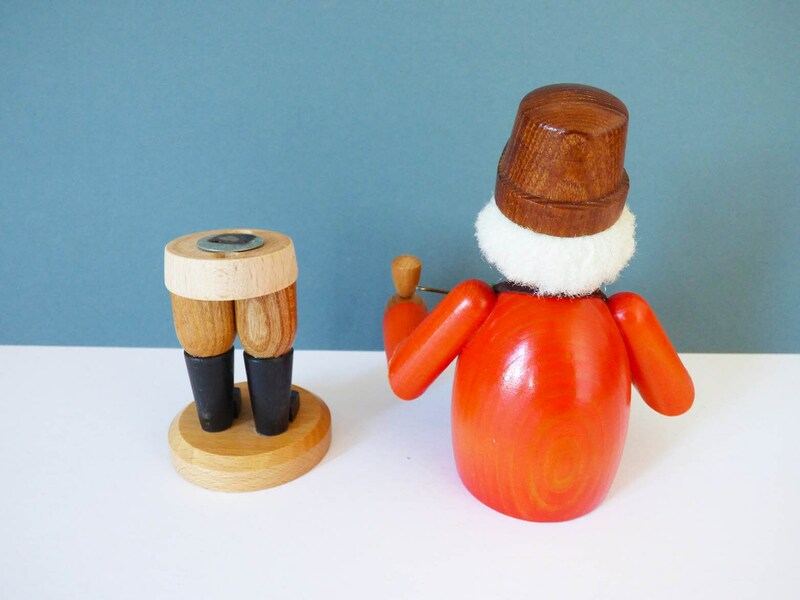 Please be aware, these wooden incense burners once lit must never be left unattended.